During my freshman year, I worked in the Institute for Research in Electronics and Applied Physics (IREAP) with Associate Research Professor Brian Beaudoin. I was in charge of designing a particle gun that would serve as the injector into an accelerator ring. It was a joint project with the University of California, Texas Tech University and UMD. They needed a high-power electron source as an input for an antenna array that would be used to study the physics of the ionosphere. During the summers of 2016 and 2017, I interned at the National Institutes of Health (NIH) in the Department of Radiology. While there, I worked as a software engineer designing data management systems to coordinate data transfer between their radiology and oncology teams. The software was tailored to their workflow and streamlined their processes. It included a backend database that facilitated data transfer between teams. I continued with IREAP until summer 2018 and am still involved with NIH. 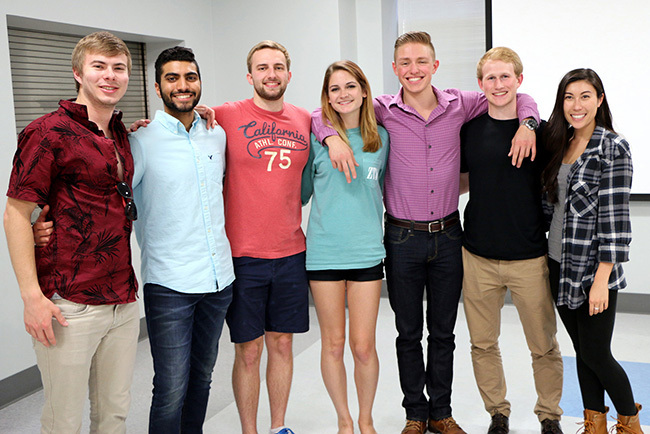 I worked with Terps Racing on their powertrain design team. I also participated in a quadcopter project with the Maryland Unmanned Aerial Systems (UAS) group. I am President of Eta Kappa Nu, the ECE honors society, and am also a member of Tau Beta Pi. In addition, I helped restart and was heavily involved in the Sigma Alpha Mu fraternity at UMD. In 2016, at NIH, I received the Best Summer Intern Award for developing a prototype data management system [referenced above]. In 2017, I presented the research that went into developing that system at a Society of Imaging Informatics in Medicine conference in Pittsburgh. 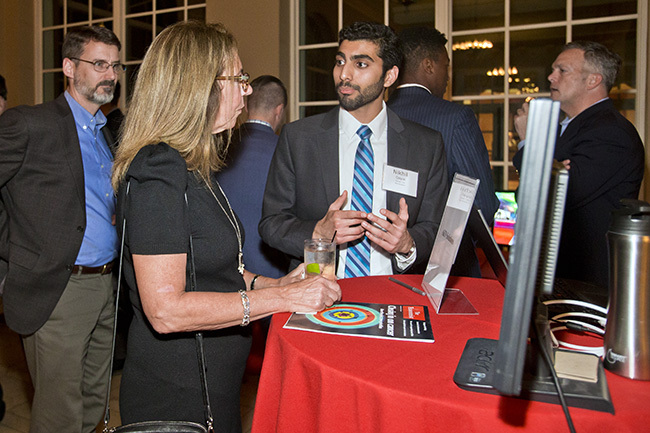 In November 2017, I was invited to present a startup I launched based upon my image management software at the UMD Connect alumni event at Congressional Country Club. In spring 2018, I competed in the Northrop Grumman Sensing for Autonomous Vehicles Challenge. Our team won second place and $2,000 in scholarship funding. I had been flip-flopping between wanting to pursue engineering or medicine. I decided to do electrical engineering because it is a widely applicable major. I did EIP because I was also interested in business and thought it would be a great way to meet like-minded students. All of the EIP friends I made during my freshman year are still my friends today. I learned a lot about business planning—you really don’t know the details of making a business plan or a financial spreadsheet until you try it. Being able to do so in a structured environment with guidance and feedback from our mentor [EIP Director] Jay [Smith] was invaluable. Now, if I have ideas for medical technology startups, I have a better sense of how I could transition those ideas into a functional business. 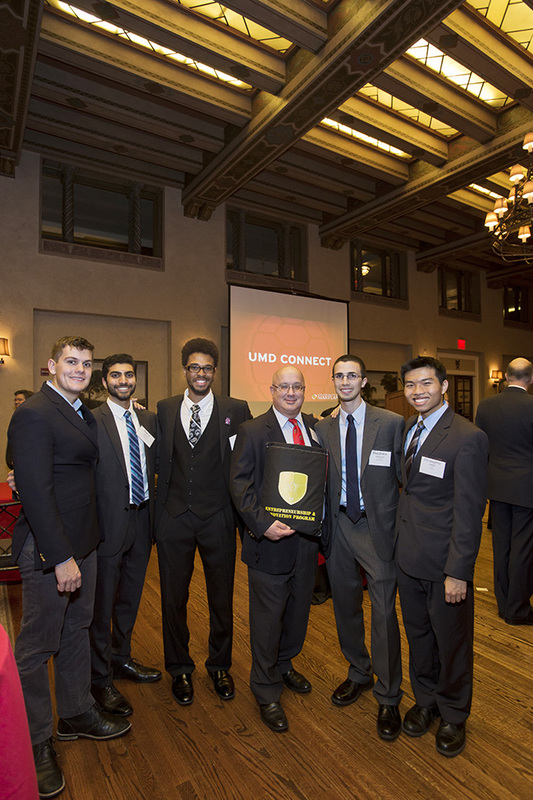 I chose UMD because I knew it had a great reputation for engineering and elected electrical engineering because of the opportunities it affords in research, industry, business, and even medicine. UMD was close to home. A lot of my friends came here so I was well-connected to start off. I liked trying to plan a business and even getting to start it. There were projects where we made a web store or contacted real people to see if there was interest in what we were doing. Being able to try these things in a classroom setting was helpful. Even if you try it on your own, you don’t have the guidance of someone like Jay. It has given me a different perspective on business knowing what goes into launching and operating one. I learned how to plan. Planning a business, writing a business plan, including considering distribution channels, sales channels, acquisitions—we learned all of the pieces of a business that have to come together to make it operational. Jay is so knowledgeable and so enthusiastic about it that he made it fun. I started AKN Solutions, a company that provides researchers a flexible solution for analyzing and interpreting radiology data, as well as interfacing between electronic medical record systems, and external sharing capabilities. NIH was my first experience applying engineering and medicine. I saw a data management problem and knew how to solve it. I was the only one getting down in the weeds with this issue, how workflows were accommodated and what features clinical teams needed. I realized it was not an issue specific to our institute, and that we could improve this aspect of radiology and oncology for other research centers. It was nice to see how many people at NIH appreciated what I made. It had a broader impact. Unfortunately, this project hasn’t gone anywhere because I have been too busy with school. At one point I sought validation of my idea. I reached out to radiologists and data management professionals to ask them if they thought the solution would be more broadly applicable. They agreed it was a good idea. The company addresses a niche issue that wastes clinicians’ time when they should be focusing on patients. There are quantitative rules for when you take someone off a clinical trial. Errors in your data can cause a drift over time and you can propagate those errors, possibly impacting clinical decisions. Making errors is not OK in that scenario. Clinicians want number-based tools that can eliminate the subjectivity of the qualitative assessment of a tumor. I’ve also never really been a fan of having a boss or too much oversight or micromanagement of my projects. I want to be able to guide the creation of software and I’d rather figure it out myself by seeing things first-hand. At NIH there was no proxy between me and the clinical teams. 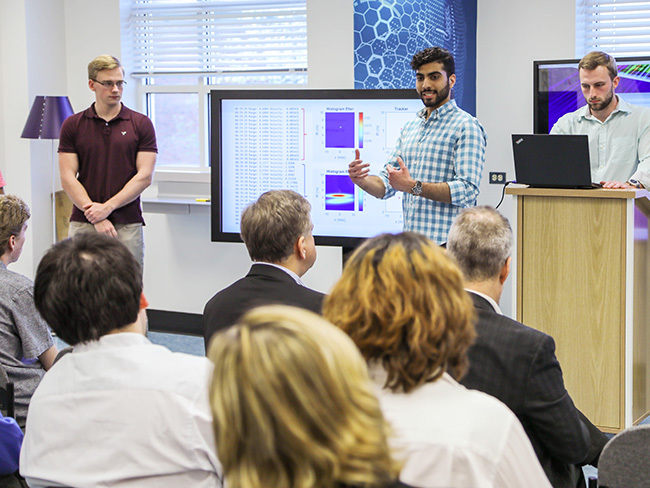 I saw their problems firsthand and worked with them to implement tailored solutions in software. I had free reign and was treated as the expert on that subject. This is not something you always experience as an employee of a company. After considering being both an engineer and a doctor, I have decided that I want to be both. Human physiology is incredibly fascinating and I want to help people. I also like the engineering aspect of designing and building things. With engineering and medicine together, I can create things that impact people all over the world and improve lives everywhere. I also enjoy business, running and operating organizations. Combining these three disciplines gives me the opportunity to meet my goals. I don’t know what field of medicine I will go into or where I will end up, but I know I want to apply engineering and medicine to make something bigger, something that helps people everywhere and not just the people I come into direct contact with.